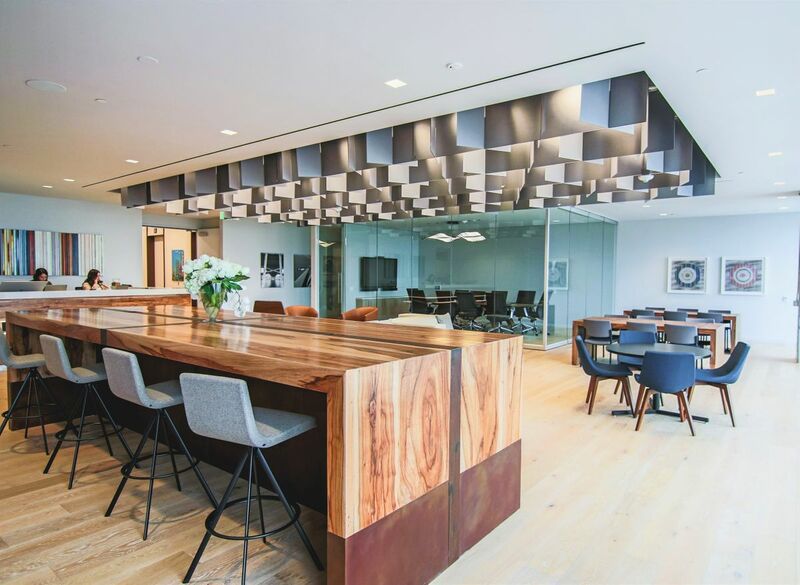 Filled with amenities, modern design, and a selection of adaptable space, co-working locations like Firmspace, WeWork, and Swivel have become the office alternative, each offering a different approach to this growing workspace solution. Co-working spaces offer an open environment that naturally fosters community among various types of professionals. These collaborative spaces feature a range of lease lengths and space configurations, making them an attractive option for sole practitioners, start-ups, and larger corporations. WeWork, was one of the first to make co-working part of the national conversation, bringing the concept mainstream with a focus on workplace amenities and lifestyle perks. Since then, other companies are springing up to fill what they see as underserved niches in the co-working sector. Austin-based company, Swivel, takes advantage of existing unused space in office buildings around a city and can quickly convert them into co-working space using a template that can easily be tweaked for each new location. They create communities in different parts of town, each with a distinct vibe and user base. Whether a client wants quiet workstations, collaborative open space, or private offices and meeting rooms, Swivel strives to find a community that optimizes their clients’ working behaviors and resonates with their culture. Art + Artisans has worked with Swivel to select artwork that best connects to each of these communities. Also new to the co-working scene, Austin-based Firmspace, recently opened their flagship office focused on professional services in the city’s downtown. Art + Artisans collaborated with Firmspace to select art that would complement the upscale, modern design of their location as well as connect with the local community. Sophisticated, original art in a variety of media by local artists was chosen for key areas. ‘Austin-centric’ focused prints and photography rounded out the rest of space. The same approach of working with local artists and targeting service professionals will be used as the hot new firm expands to Denver, Houston, and Dallas. The Harvard Business Review reported that people who participate in co-working communities have a higher level of satisfaction than people who worked in regular offices, and Forbes notes that in the past 10 years there has been an increase from 14 co-working offices in the U.S., to over 11,000. Forbes also states by 2020 the co-working industry is projected to grow to 26,000 co-working spaces that will host 3.8 million workers. The demand for these kinds of atmospheres proves that people don’t want to just go to work to work, they want to experience the space around them, while drawing inspiration from their surroundings.